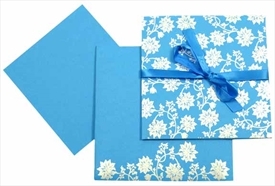 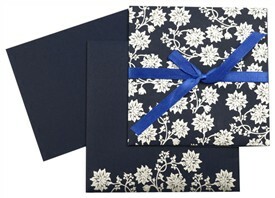 D-4417, Blue Color, Ribbon Layered Cards, Designer Multifaith Invitations, Jewish Invitations. 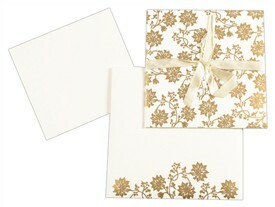 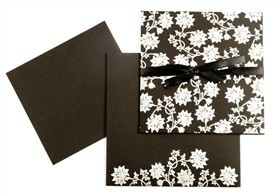 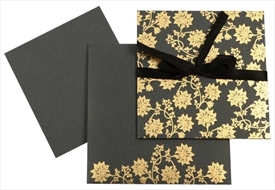 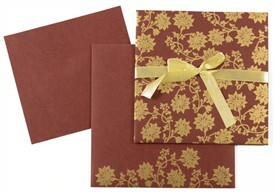 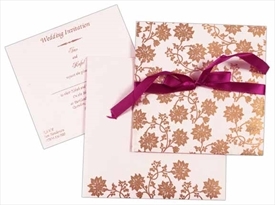 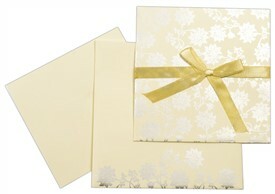 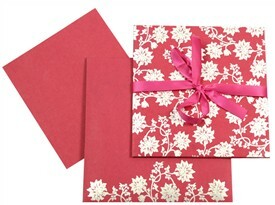 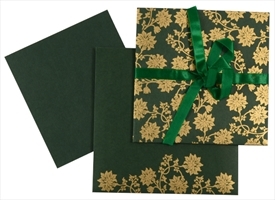 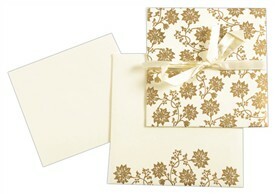 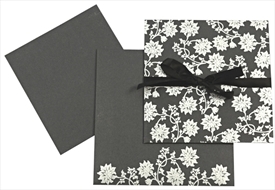 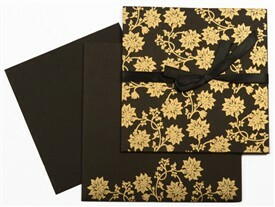 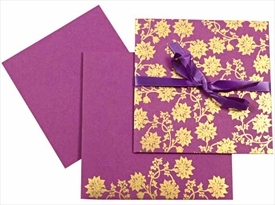 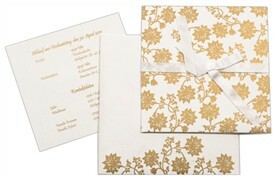 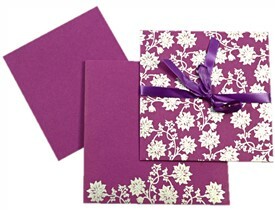 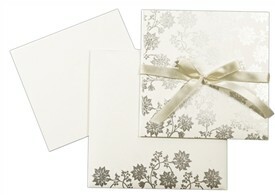 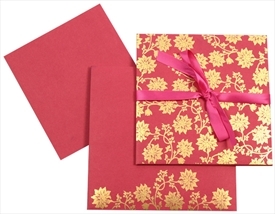 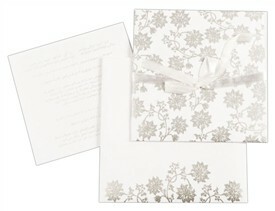 The card has floral design printed in Gold all over the front. 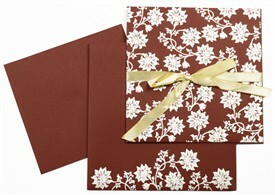 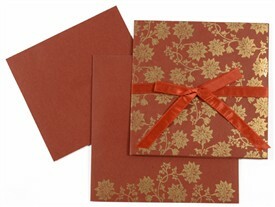 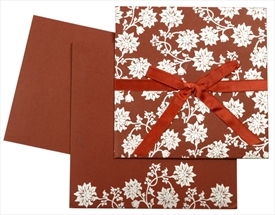 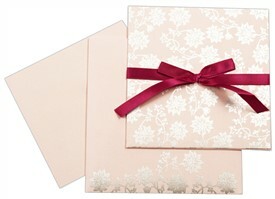 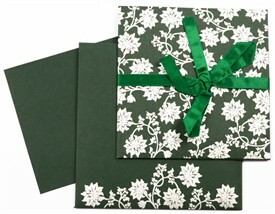 Along with this the card is tied with a large bow made up of matching stain ribbon. 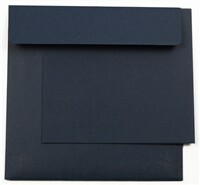 An insert is pasted on right hand side while pocket holds a loose insert. 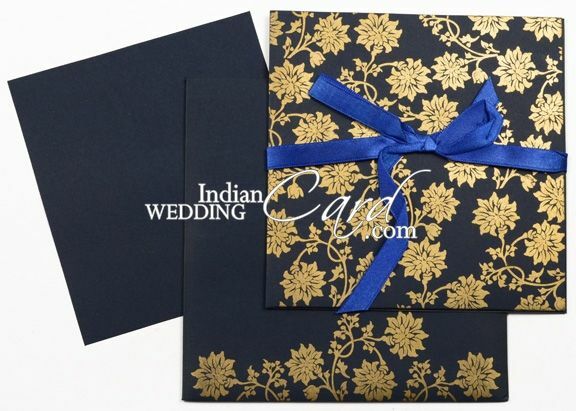 Envelope follows the front design and also has semi gloss printed lining on inside. 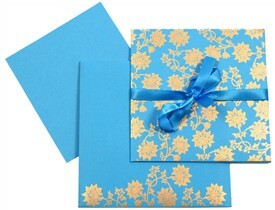 Blue color self textured card stock (250gsm) for card, insert and mailing envelope.